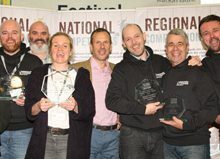 ›North West›Yorkshire Brewery brings home the Medals in the Inaugural National Beer in the Wood Competition. 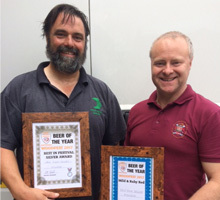 Half Moon Brewery came first in the Mild and Ruby Red category with Moonbeam a 4.8% mild, brewed in collaboration with Sunbeam Ales, Leeds and then went onto swoop a Silver in the overall competition against some stiff competition. 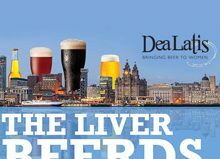 Over 40 breweries from across the UK were represented at the festival which was held at The Junction, Castleford and the rigorous judging process was conducted by some renowned experts in the industry, including Roger Protz Editor of the Campaign for Real Ale Good Beer Guide and Annabel Smith, Beer Sommelier and co-founder of Dea Latis. 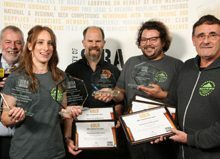 The overall winners were selected from the seven categories and 58 beers. 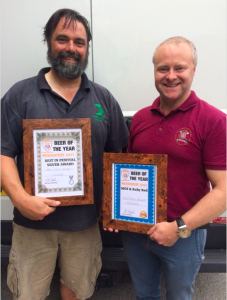 Brewer and owner of Half Moon Brewery Tony Rogers, received the award from Marcus Hodgson, York SPBW Chairperson. Robinsons Cheer For Beer In Historic Beer Duty Cut Hat Trick!! TROOPER beer joins the Canned Beer Revolution!! 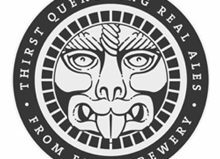 The Foundry Vaults re-opens following brewery investment. The Bakers Vaults set to open it's doors. Treacle Town Pie Company is 'Pick of the Litter' with signature Old Tom pie. 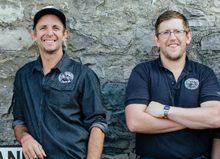 World Beer Award Winning Brewery To Feature in Booths Food Stores. 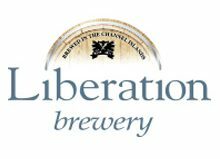 Bollington Brewing Company serves ale with Olympians! 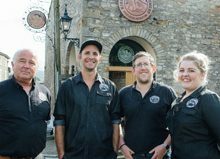 Bollington Brewing Company opens new pub in Poynton. 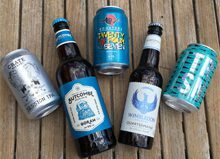 TROOPER gets new UK national beer listing with Sainsbury’s! Ginger Tom scoops Bronze at the Australian International Beer Awards 2013!! Trooper beer exports pass the million mark! 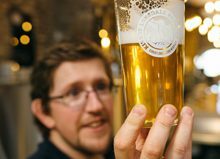 Chinese beer enthusiasts will soon taste the magic of Lancashire’s ‘Pendle Witches’ ales.